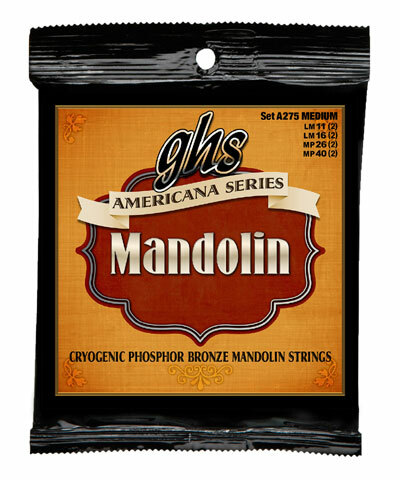 My mandolin had old, heavy gauge, coated strings that were starting to get thuddy and instead of just replacing the set I had, I decided to give GHS a shot. I can tell you I will not be looking back, because I'm thoroughly impressed with how these strings handle. Great full sound, very lively, some jangle but not excessive or distracting, and bright. I play in a three piece acoustic group and am usually responsible for harmony. My mandolin was sounding a little thin in group practice, but these strings made us sound so much bigger than 3 people! My drummer commented he really had to dig in to keep up and everyone had a smile on their face. Having reduced the tension a little bit from a slight size reduction, I found myself having an easier time chugging chords and all of the chords sounded brighter and fuller than they had recently. I haven't had the set on very long but I can say that holy cow do they hold tune well. I had prepared to spend all of band practice retuning my instrument, but I barely had to AT ALL. This was after having been freshly strung 24 hours before band practice with only light strumming and a retune or two in between. I am still shocked at how solidly they held pitch and absolutely pleased with the sound they produced. I also appreciate that GHS strings literally cost me half of what I had paid previously, but my sound greatly improved. I can make sure to wipe down strings frequently, its worth losing the security of the coating for the sound I'm getting.